They came up against the Ulsan Hyundai FC, the winners of both J-League trophies in the past two seasons. 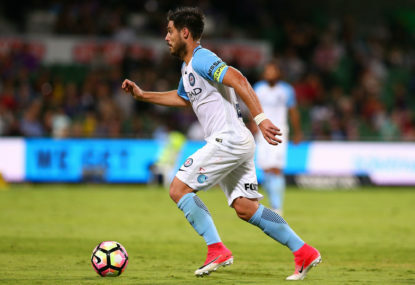 Meanwhile, Melbourne City have continued to throw games away; in the past game against Perth Glory, City were up 2-0 in the eighty-fourth minute, but a brain fade reduced them to only a draw with Joel Chianese and Diego Castro scoring. 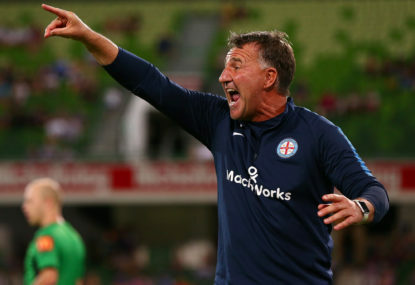 To be fair, Melbourne City were without three key defenders; Richie De Laet, Bart Schenkeveld and Harrison Delbridge, which meant Warren Joyce had to completely change up not only the team but the formation. But there was no excuse or good reason to why City couldn’t win the Melbourne derby. 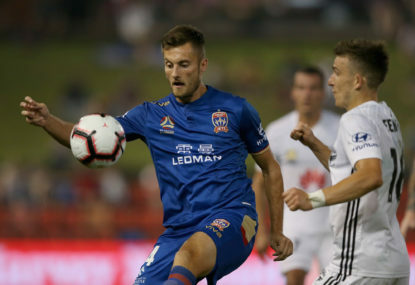 With Melbourne Victory’s centre-back Georg Niedermeier receiving a second yellow card in under fifteen minutes, Victory was reduced to ten men, and after Jamie Maclaren scored the penalty, they were pushed right to the edge in the first half, in terms of possession. But fortunately for Melbourne Victory, throughout the course of the game, Melbourne City’s only shot on target came from the penalty, and after Kosta Barbarouses’ powerful shot snuck in in the front post, Kevin Muscat’s men came away from the game with a point that Melbourne City really shouldn’t have allowed them to have. The big story for Sydney FC this week has been Josh Brillante’s transfer rumours to the J-League. A journalist reported that Brillante had actually already signed with Pohang Steelers, a rumour which Sydney FC made a little too obvious by leaving him out of the squad in not only their Asian Champions League game against Ulsan Hyundai FC, but also this game against Melbourne City. In my opinion, the likes of Paulo Retre and Chris Zuvela (when he returns from injury) are able to replace him, but if these rumours are true, he will be missed. On a brighter side, Alex Brosque is back from suspension, and Jacob Tratt is back in the squad instead of Josh Brillante. Despite the fact that Aaron Calver’s leave to Western United FC has become public, Sydney has continued to keep him in the squad, which is good for both Arron Calver and Western United. I believe that Reza Ghoochannejhad will return to the starting line-up, as he has been in great form in the A-League, and Alex Brosque will return to super-sub mode. 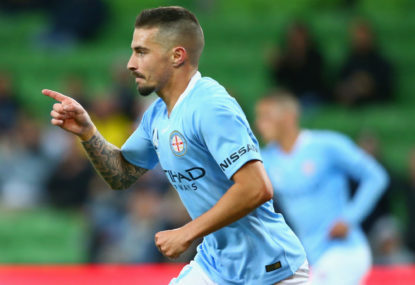 Melbourne City will be welcoming back three key defenders to help manage the likes of Ninkovic, Reza and Le Fondre. Premier League winner Richie De Laet and centre-back Bart Schenkeveld have returned from suspension, as well as Harrison Delbridge is returning from injury. On a downside for City, three young guns were picked for the young Australian Socceroos side, which means that they had to let Riley McGree, Nathaniel Atkinson and Lachlan Wales go for the time being. Although McGree and Wales haven’t been starting much in recent weeks, they brought a great spark from the bench and City will miss them while they’re gone. I predict that Schenkeveld, Delbridge and De Laet will all be pushed straight into the starting team, as City really need to get a win, and against a quality team like Sydney, they really have to go all out. 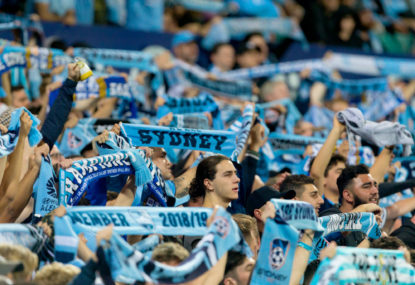 Honestly, as a Sydney FC fan, I would be annoyed if Sydney didn’t take home three points. They are at home and have the advantage, in terms of quality they have the upper hand. I predict 2-0 to Sydney, with one goal going to Le Fondre and one goal to Anthony Caceres.